Continues has produced its most character-focused episode to date with the release of its sixth instalment. 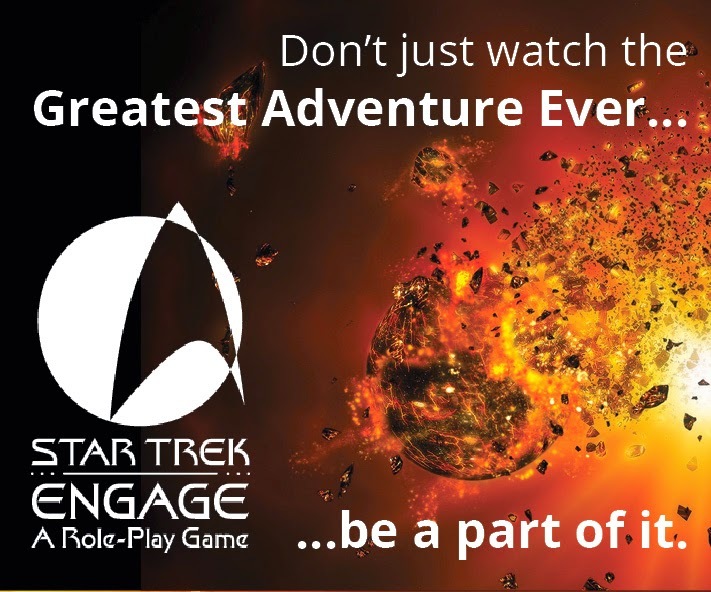 When the USS Enterprise is hit by an unknown object the crew are placed on high alert but as we discover there's a lot more to what could be an alien attack than Kirk anticipates. Be warned I might drop a few spoilers as we run through this episode! Guest starring the wonderful Farscape regular (and most recently of Nexus) Gigi Edgley as Ensign Eliza Taylor, this new chapter in the Continues legacy is the first to really utilise the whole cast to their maximum forgoing the usual Kirk/Spock/McCoy premium mix that has featured in the show to date. So where to start. For those of you who might not know, the episode title is a slight misquote from the William Shakespeare play King Lear (Act I scene v) in which the King (Lear) represents the dragon and his wrath is the banishment of his daughter Cordelia. The character Kent is also banished for suggesting is wrong and therefore the "coming between". This little bit of background will also make a difference in helping understand the relevance of it to the episode and the conclusion of its narrative. As for a plot, this is pretty straight forward in that the unknown object turns out to be a space-dwelling alien lifeform right out of the 1960's show. Bearing a rather striking resemblance to the Excalbians from The Savage Curtain, Damien Beurer has his work cut out to perform on screen in a very cumbersome costume while still managing to carry off a subtle vulnerability that provides depth to what could have just been a marauding alien-of-the-week. 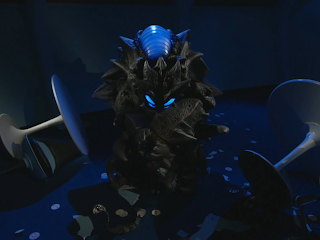 I think the distinctive hues used to represent the creature's emotional states was a sensible move and makes following the show a lot easier. Edgely herself is at the very core of the episode, becoming the alien's (Usdi) friend while he is on the ship but its not that simple. It seems that he's in hiding and the Enterprise is being pummelled by what I would describe as interstellar sonar. While it's helping "something" locate Usdi it's having the side effect of dredging up a host of negative emotions from the crew - suspicion, fear, resentment, paranoia - are all rife as Taylor looks to help the timid creature. Gigi (who shares the same birthday as me - yay!) carries the episode perfectly, nailing the role with a vulnerability that parallels the timid nature of Usdi. It's as though the two of them develop and become stronger as the episode progresses which is great to watch and leads into the final revelation of the story. Their caring relationship also mirrors the overwhelming negativity that is encapsulating the Enterprise from the space-bourne waves especially (as you would expect) Spock. Seeing the regulars involved in not one, not two but three fistfights plus more than a few left and right hooks was a surprise and more action than I expected but the fight choreography is faultless and avoids becoming cheesy. Michele Specht (McKenna) and Kipleigh Brown (Smith) are probably the best at it as you'll see from the episode but it's not just confined to those two actors! Seeing Kirk clock a drunk Scotty (Chris Doohan) and phaser Spock isn't something we got to see unless we'd been playing around in the Mirror Universe (which this did on occasion make me think of) but it acted out in a way that works with the story. 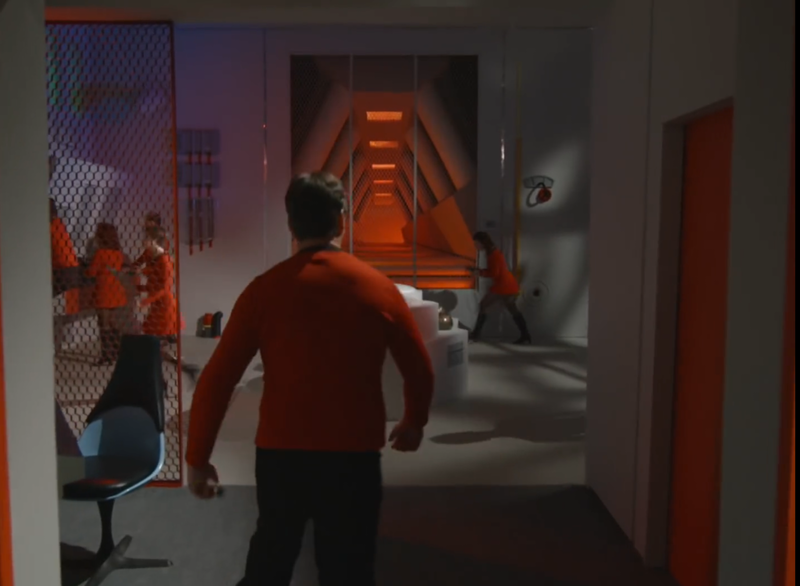 Oh and watch out for the sneaky couple of cameo shots in there by Rod Roddenberry as a redshirt on the Enterprise bridge! Once McKenna (Specht) and Taylor have worked out how to deflect those negative emotions using alpha wave inducers the crew start getting back on track to help Usdi rather than hunt him down although repeated phaser fire doesn't seem to work even if its from the rifle Kirk is packing. A big winner for me with the episode was getting to see Specht, Brown and Cat Roberts getting to do more than be background characters with the former two having a great deal of involvement with the drive of the episode. 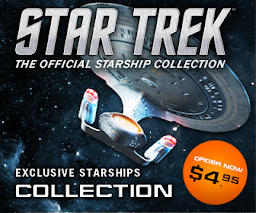 This is a good decision by the production to take the focus off the "Big Three" of Kirk, Spock and McCoy to showcase the talents of the rest of the magnificent and talented Continues cast who have, on occasion, been pushed a little out of the ensemble limelight. One of the biggest things you'll notice about this bottle show is that it debuts the brand new Engineering set for the series. While its use in the episode does feel a teeny bit forced you can fully understand that Continues would want to blow their trumpet and feature what is a massive investment for the series and it looks flippin' gorgeous from every angle as you can see here. On the note of effects too this is a story much more focused in solid filming rather than CG wizardry with a very minimal amount of computer work evident. There is a wonderful sequence very early on following the carnage through the ship which I must tip my hat to but I think this episode is much the stronger for not relying on modern technology too much and keeping the feel on screen very much in the origins of how "they would have done it" in the 1960's. Of course, the space-based sequences are of a top quality and have to be admired but they are nothing on the rest of the episode as a piece of quality storytelling about people. As to the other crew while they are not at the forefront of the episode its clear that the script has made sure to include them all whether its Lieutenant Palmer at communications or the engineering bridge stations or Sulu and Chekov at their forward console, everyone has been brought into the story and plays a part at either moving the emotional or physical story to its next stage. Nicely the oft (I felt) overlooked Uhura (Kim Stringer) gets some quality time here as part of the initial group attempting to help the meek space alien. 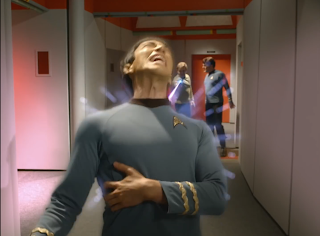 Big note too for Todd Haberkorn's psycho Spock verging on going Full Hulk in Sickbay early on in the episode. 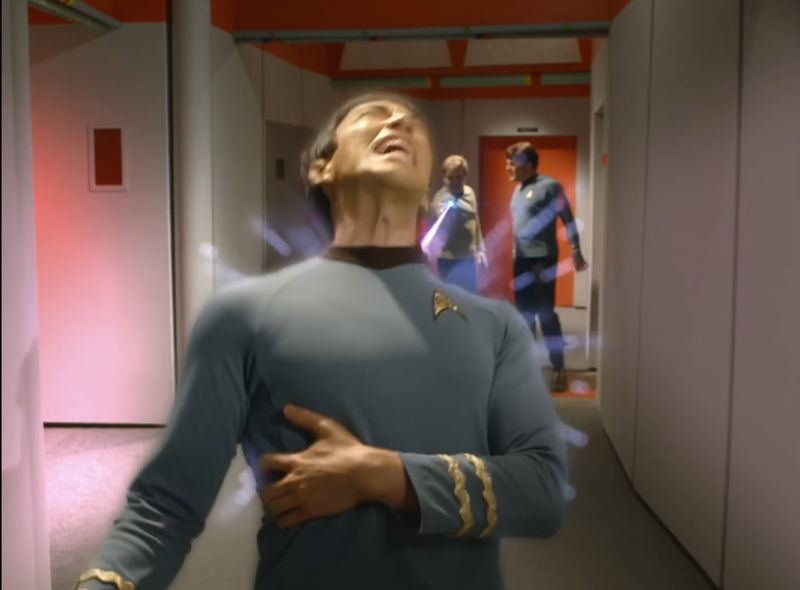 Following a vicious attack on Usdi, the Vulcan realises his emotional state is out of control allowing Haberkorn an unusual bit of freedom for the reserved first officer. 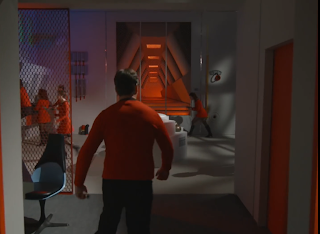 While totally out of character for the Vulcan its a great scene very reminiscent of many a classic Star Trek moment with big bug eyes and screaming vocals to match. Todd is as excellent as ever in this episode but being a much more ensemble piece he is treated very equally and this subtle cast balance works in favour of the overall result. Seeing an angry Kirk pull a phaser on him is another of those moments I didn't see coming but it's super-effective as emotions run in uncontrollable overdrive. There is a moral to the story which is where the bond between Usdi and Taylor has its base and only really becomes clear towards the end of our story. While this allegory is made fairly plain and obvious in the way it is related through the script it is touchingly played by Edgley and is one of the strongest themes focused on by a fan series that I can remember. Certainly the Farscape actress does a masterful job to treat this subject with the decency it deserves on screen. In fact it delivers in much the way that The Original Series did with many a controversial theme in that the sci-fi story often held a much darker and down to earth moral for us all to learn by. For that inclusion, I have to say a well done to writer Greg Dykstra. In terms of their work so far this marks a much simpler concept than Continues' previous entry which took the show out on location for its Civil War epic. 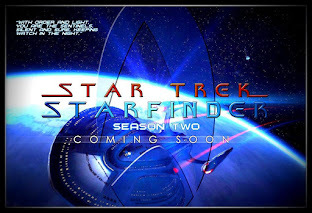 Back on the ship with the spanking new Engineering set this is still a strong and highly character driven episode that ensures this is still one of the finest fan film series out there. Come Not Between the Dragons is unquestionably the episode which has utilised the cast most effectively to date and once more shows how this series is developing every time new material is released and is attracting top quality guests to strengthen these well written and produced episodes. Although I personally would say Fairest of Them All is my favourite of those made, this sixth instalment is one that I will be very happy to revisit in the future. 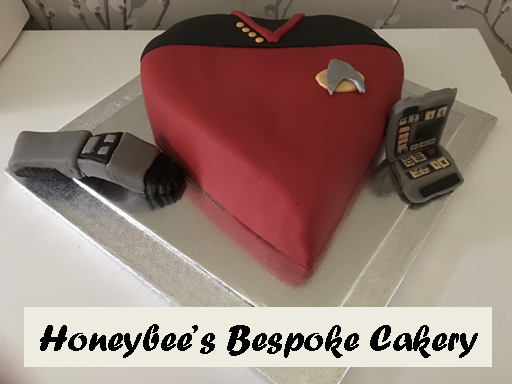 Top marks for your efforts Star Trek Continues! What were your thoughts on Come Not Between the Dragons - how strong an episode do you think it is? Drop your comments below! 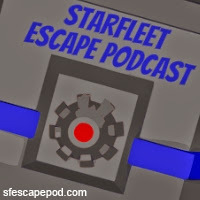 NOW check out and subscribe to our monthly podcast. 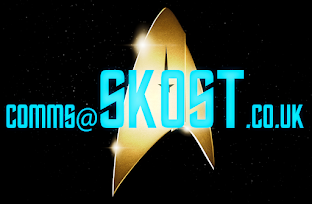 You can find us on iTunes, Soundcloud and Stitcher by searching "Some Kind of Star Trek". Episode one is live and ready for you to listen!